Your goal as an investor is to preserve and grow your wealth. At the end of every month, you want your equity to be higher than what it was at the start of the month. In this post, we’ll be discussing how some investment manager’s and managed account services could potentially churn your account for extra income, and what you need to be aware of. What exactly is churning an account? Let’s consider two investors who both have $50,000 with their preferred investment manager. The first investment manager implements a dedicated trading strategy based on a fully backtested trading system. This system has historically generated a positive return over time and in recent results, has enjoyed a 5% gross return per month for the last three months. The second investment manager is more interested in earning commissions from the brokerage. The strategy he employs is very much influenced by strongly uptrending markets. When the markets are rising, his results are good, but when markets take a turn, his performance suffers greatly. The good news is his strategy has produced gross returns of 5% per month over the last three months. The same as the first investment manager. Now let’s consider the trading activity levels on the account. You are no doubt aware there is a cost associated with every single trade. No matter if it is a stock, index, commodity or Forex trade, there will be a cost to transact each time. Whether it be commissions or spreads, there will be a cost. Investment manager 1 trades ten times per month or around one trade every second day. To keep things simple, let’s say brokerage is $50 per trade. Ten trades at $50 per month is $500 per month. $500 per month is the equivalent of 1% on a $50,000 account. Investment manager 2 trades at 50 times per month or slightly more than twice a day. But what you might not realise is how much of that commission goes back to the investment manager. Let’s take a closer look at the figures after three months of hypothetical trading results. As you can see, both accounts achieve a 15% hypothetical return after three months. But one achieved those results with five times more trading activity. You will notice the significant impact a high number of trades has on an account. We can refer to this as churn. Churning is when an investment manager executes a high number of trades to generate commissions. As a practice, Churning means the investment manager is not acting in the clients’ best interest. Churning is not only unethical, but it is also an illegal practice. Now you will understand why the term ‘churn’ has such a negative connotation to it. Unfortunately, it is negative for the person outlaying the capital but positive for the investment manager. They will be earning a substantial portion of that as their monthly commissions. The example above is more indicative of a stock portfolio, given the $50 brokerage fee per trade. When it comes to trading Forex, there are no commissions. Instead, they have what is known as the spread. The spread is the difference between the first buyer and the first seller. If we consider the Aussie Dollar, the current price is 0.7657. For this example, we will go to the fourth decimal place, which is known as a pip. The fifth decimal place is 1/10 of a pip. Traders always talk in terms of pips when it comes to trading forex. The first buyer will be sitting at 0.7657, and the first seller will be at 0.7658. In this example, we will assume a 1pip spread as standard on the Aussie Dollar. When we trade one full contract (the equivalent of $100,000), we pay the spread on that value. At $100,000 position size, each trade will have a spread value of $10. The beauty of trading Forex is the flexibility of trade size. You are not restricted to trading a position size of $100,000. You can trade mini contracts. One mini is $10,000 in trade size. The spread on that will be one pip or $1. Each mini contract is 1/10th the effective commission. Getting back to the example of trading stocks, you recall the significance of a high volume of trading activity of the bottom line profits. Similarly, when it comes to Forex trading, a high volume of trading activity incurs a higher cost base. When it comes to reading the fine print, you will notice something call spread markup. This is one way how many managed account services earn an income from managing your accounts. If you consider the 10+ years of focused effort, study and trial and error that has gone into building a robust trading system, you begin to appreciate that this is a fair fee for managing so much money. What is a spread markup? A spread markup is when an investment manager will add their spread on top of the current spread. For example, an investment manager may add a one pip spread on top of the current spread. Unfortunately, many Forex managed account services try and hide their spread markup fee. At Walker Capital Australia, we are a big believer in transparency. As a result, our Financial Services Guide (FSG) always has an accurate figure of exactly what our charges are for each strategy mentioned below. You can always reach out to one of our team to discuss how the spread markup works on your account. Should I be concerned about the spread markup? As mentioned above, the time and devotion that goes into building a fully backtested and scalable trading strategy is not easy. There is a lot of skill and patience involved. You then need the mindset to allow you to execute the strategies without mistakes in the market. As you can appreciate, any investment manager who is responsible for your gains needs to be fairly compensated. The only time you should be concerned about the spread markup is when you cannot easily find it. Or perhaps when you ask the investment manager, they avoid the subject or cannot give you clear answers to the simple question. 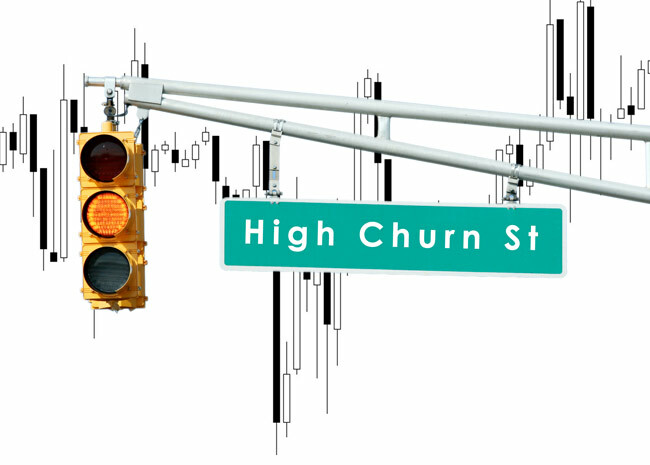 Now you understand what churn is and how trading activity affects your bottom line profits. Let’s jump into the different types of trading strategies and the activity levels each has on your account. 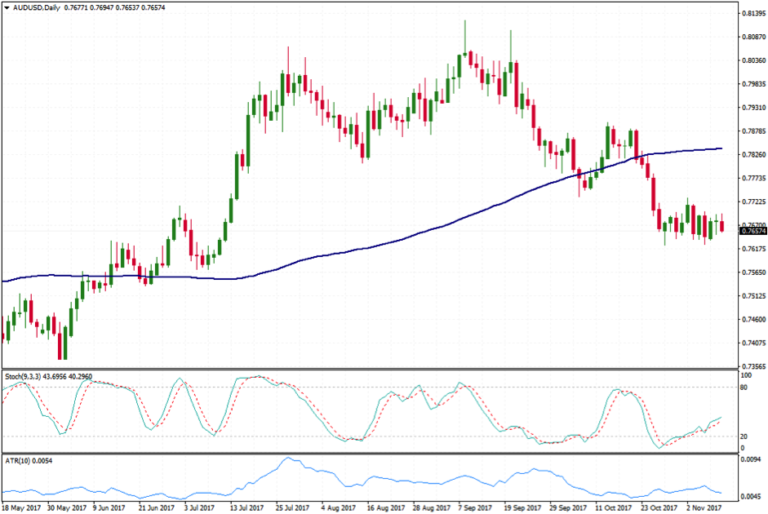 By understanding different trading styles, you will be able to understand which ones may be setup to churn your account versus those which are there to minimise your investment costs. This is often a big red flag. Active day traders can do as many as 300 trades per day. That is not a typo. 100-300 trades per day is the level of activity day traders can hit. Your costs here are very high. At Walker Capital, we do not believe a day trading strategy is beneficial for long-term gains, so we do not employ such a high turnover style. Swing trading looks for uptrending or downtrending markets which have recently pulled back from their recent run. At this pullback level, it is probable the market will consolidate and then move higher again. The retracement strategy can be a little more active as it benefits from range-bound markets. Markets don’t always trend, so it is important to have a method which benefits from sideways trending markets. Breakouts are the explosive moves which occur infrequently but allow the opportunity for big moves. Identifying trades in this area can be a little harder and so this strategy trades less frequently. Price action trading is identifying specific patterns within the price of the underlying asset without the use of indicators. Price action traders will look at certain candlestick or bar chart patterns, support, resistance and the overall trend of a market. At Walker Capital, we believe it is important to be as transparent as possible with every account we manage. Which is why we explain trading styles and set expectations around each one. To find out more about the Walker Capital investment strategies get in touch today. Once all accounts are opened, and funds have been chosen, our team gets to work and begins trading.